Founded by the people behind Benjamin Barker, The Assembly Ground was designed to be a space for customers to meet and exchange cultures, ideas and experiences. The café takes inspiration from the 2 founders’ roots in Melbourne, and the city’s cycling and surfing culture along the beaches. 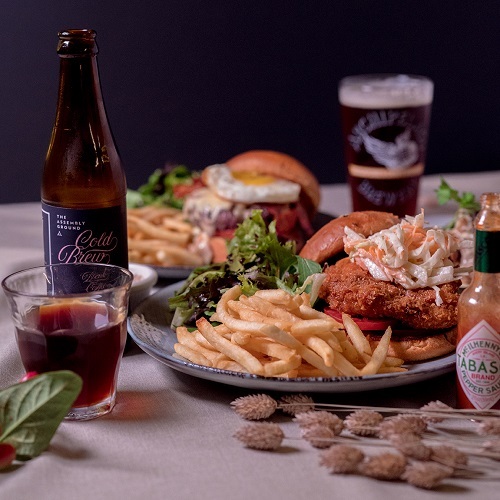 With coffee blends from the best local coffee roasters, The Assembly Ground serves up a mean cup of espresso and classic comfort fare, from hearty burgers and pastas to weekend brunches.